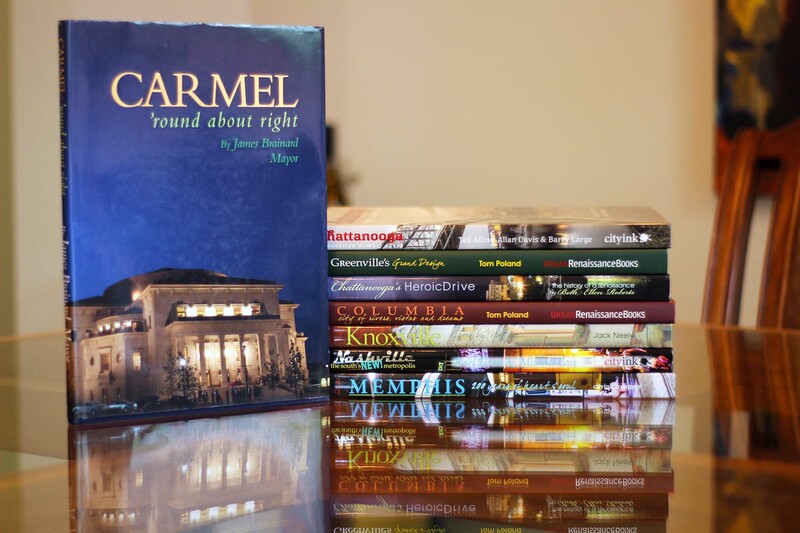 An elegant, comprehensive book documenting Carmel’s unlikely emergence as a vibrant urban center. Once a small Quaker town, Carmel, Indiana, is now a city of more than 80,000 people and growing. What has set Carmel apart from most other communities surrounding major cities in the United States has been its focus on creating a more walkable, traditional city instead of the typical sprawling suburb. 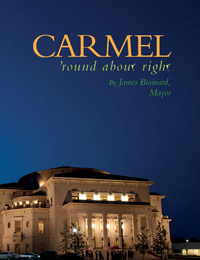 As mayor of the city of Carmel for nearly two decades, James Brainard has brought together civic and business leaders, developers and members of the local community to create a vibrant city with a bustling downtown. By planning ahead, Carmel has avoided the congestion of collector roads that dot the suburban American landscape. Instead, a grid system of small streets with roundabout intersections has given residents smoother, safer commutes.